Redmon's Automotive Service was established by Cecil Redmon in 1960 at its present location in Swannanoa North Carolina. For more than 5 decades, the Redmon family has operated in the same location. Cecil began with 2 service bays and sold Texaco gas and products while his wife, Cordia, ran a small grocery store inside. Ronald Redmon took over the business in 1972 and ran it until he turned it over in 2003 to his son, Darrin, and his wife, Jennifer. When Darrin took charge, he shifted the business away from selling gasoline and now offers full-service automotive repair and maintenance. To serve his customers better, Darrin expanded from 2 service bays to 7 bays and added wheel alignment, engine repair and replacement, and complete tire service. Other changes include the addition of a customer waiting area in place of the grocery store so people can wait in comfort while their car is being inspected, serviced or repaired. 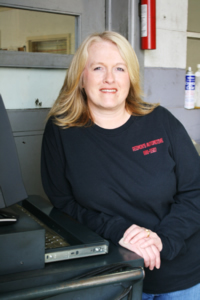 Longevity in the valley and consistent customer service are hallmarks at Redmon's Automotive Service. Customer loyalty and word-of-mouth advertising are what brings new clients to Redmon's. Come see for yourself...you will not be disappointed!